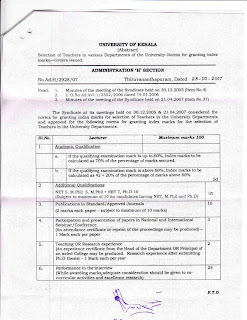 The teaching experience of unaided / self financing teachers is not counted while recruiting faculty members in the Kerala University. 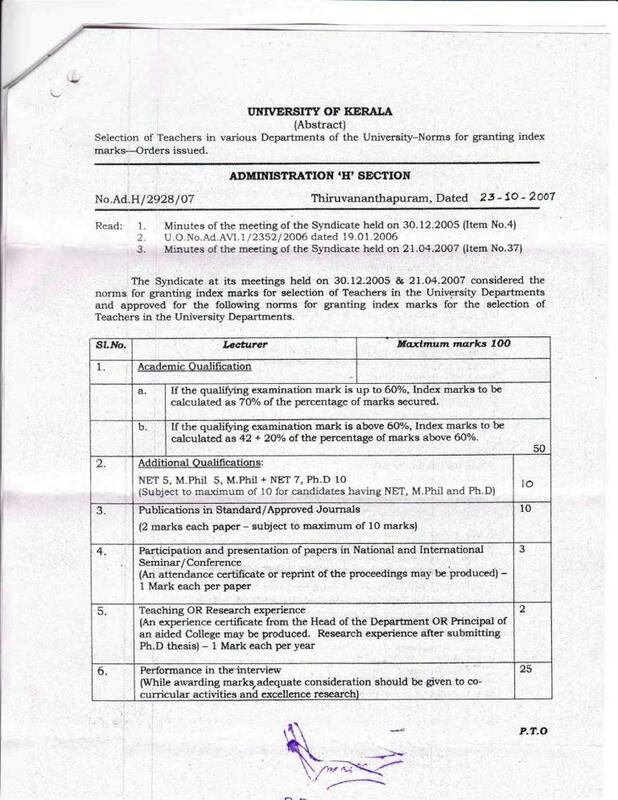 This was revealed when information was sought vide RTI 2005 Act. This is gross injustice to the unemployed youth in the State and the Country. Teachers of unaided/self-financing colleges with many years of teaching experience and administrative experience as Principals are at a disadvantage while trying for teaching post in the University departments. Those who have already employed thus get advantage in faculty recruitment. The teachers with UGC qualification (UGC_NET)and even Ph.D in Education are unable to get a government post because 90% of B.Ed colleges in the State are in the private /self- financing sectors. These colleges are run with the approval of National Council for Teacher Education (NCTE). It may be noted that there are only 4 B.Ed colleges in the Government sector and 17 in the Aided sector. The rest 200 above colleges are private / self financing colleges. 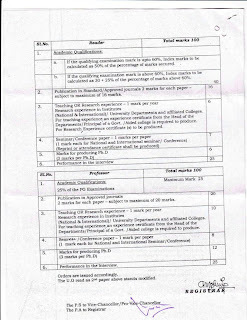 It is not possible for qualified youth in Kerala to become teacher educator (meaning B.Ed college teacher)because the opportunities for employment is NIL. 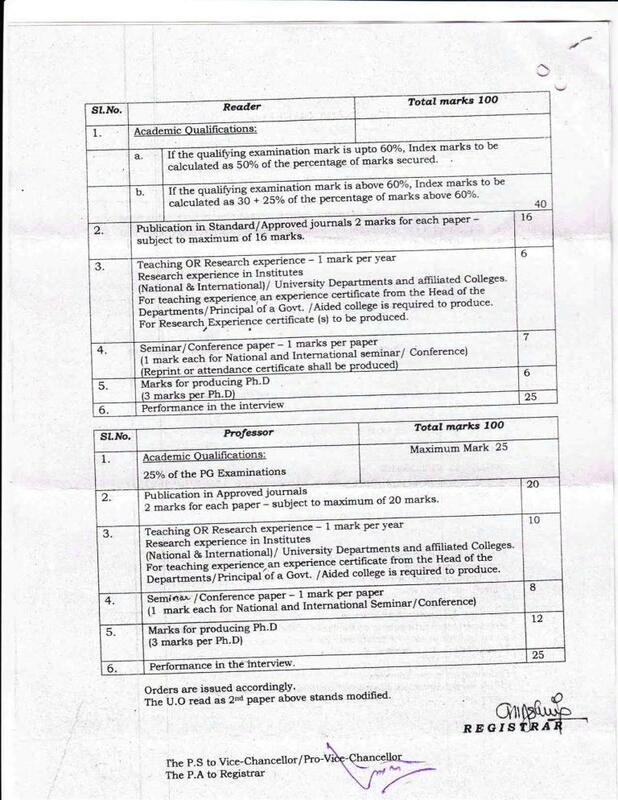 In the 4 government colleges the general candidates are appointed only if candidates working in the government are not available for appointment in 'By Transfer' category in the PSC recruitment.The aided college appointments are based not on merit but on caste /community /Donation considerations mainly. Thus it is great injustice to unemployed eligible youth by sealing off all government employment opportunities to them and even declining their hard earned teaching / administrative experience in the private institutions. The queue of B.ED colleges are increasing day by day.But the quality of education is decreasing.So,the authorities have to take action against it.